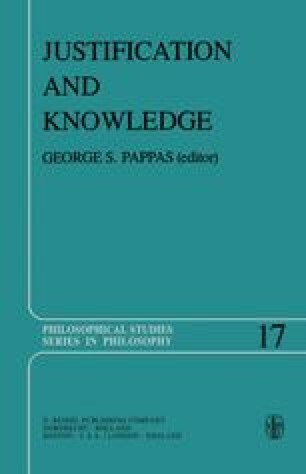 A perennial question of epistemology is, ‘Does knowledge have foundations?’ This question is almost as difficult to formulate precisely as it is to answer. Epistemological theories form a complex array, and as we will see, many of them are not happily classifiable as either foundations theories or non-foundations theories. The purpose of this paper will be to exhibit some of the structure of this array of epistemological theories, and to say something about which of these theories might be true.